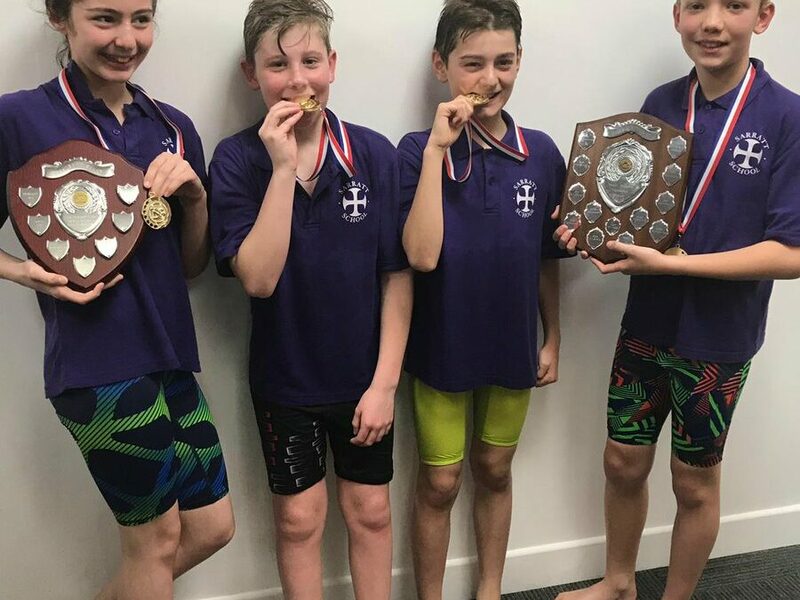 On Friday 22 March, The Sarratt swim team (Jake, Ted, Josh and Pauline) went to represent the school at a swimming gala. Our first event was the freestyle. We came first and qualified into the finals at the end. Our next event was the choices. This is where we are allowed to pick our choices of strokes. We chose: backstroke, breast-stroke, and freestyle. In that event we came 3rd place. Again we were invited to the finals later that day. We had a break before we began. We were in the second heat and we swam the front crawl. We came first again! Then we swam the choice relay. We came 3rd place again. Then we found we came 1st out of the whole of Hertfordshire and 2nd out of the East of England. We got two trophies. On World Book Day (Thursday 7th March), each student had a chance to dress up as a character from a book. The Junior Journalists went as Harry Potter and Ginny Weasley (from Harry Potter) and Fluffanora Brew (from Witch Wars). We went around sharing who we are and why it is our favourite character. 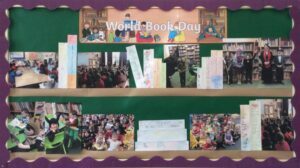 Because it was world book day, we based every subject on books. For maths we looked at a book called Maths curse: it was about a girl that had a maths curse and everything she looked at, made it into a maths problem. We had about 5 minutes on each page in our groups and we had to solve all the questions she was coming up with in her mind. It was really fun and it was a cool and different way of doing Maths. 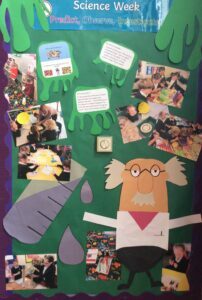 We interviewed Mrs Serby to see how she feels about World Book Day. Mrs Serby dressed up as the tear thief. Q: Why did you dress up as the tear thief? A:I like to dress up as a character that most people don’t know. Q: Do you like the book? A: I think that it is a very beautiful book. Friday 15th March was Red Nose Day! Every pupil came in wearing something red, whether it was a nose or a headband; a pair of shoes or a top. It was a sea of red! This day supports Comic Relief. Don’t worry if you don’t know what this is – we’ll tell you. Comic Relief started in 1985 when Richard Curtis and Jane Tewson got together and decided to use comedy to raise money for charity. Overall, we had a great day! We’re “red”y to show our colours for Comic Relief!! Q: What was your favourite part of Red Nose Day? A: Seeing everyone dressed up in red! A: Bright red socks. It looked very funny because I was wearing a normal outfit and high heels, but I had the socks over my tights!! On 21.03.2019 Y5 went to a tag rugby tournament at St. Clement Danes. We won several games, drew some, and only lost a few! It was a great sporting event and made us want a Sarratt team! Congratulations to the winning school, who got through to the Tag Rugby festival. The B and C team winners were The Russell school. The winners of the A team was Christ Church. There was a team A, team B, and team C. Team A was the competitive team and teams C and B were just for fun. We really enjoyed the tournament, and hope for many, many more things just like it! Thanks for reading our Blog from The Junior Journalists, Diya and Ella.